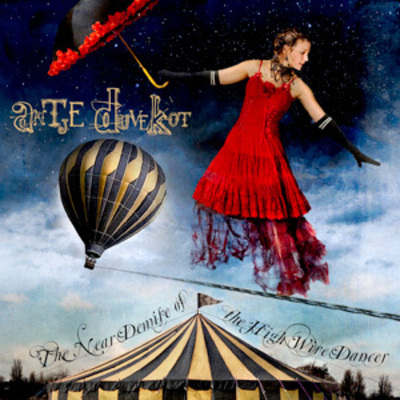 Antje Duvekot is one of the brightest singer-songwriters to rise out of Boston's competitive acoustic music scene. 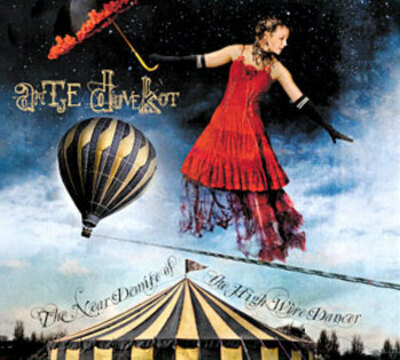 She is releasing her second studio album, "The Near Demise of the High Wire Dancer" on Black Wolf Records on March 17, 2009. 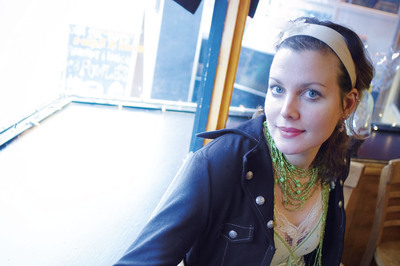 Antje chose one of her favorite songwriters, Richard Shindell to produce the album. Richard lent his talent to the record and brought in well respected musicians such as John Gorka, Lucy Kaplansky and Victor Krauss. talk of the folk world. Duvekot has gotten hotter, faster than any local songwriter in recent memory." The songs on the album reflect both Duvekot's personal journeys and her observations of those of others. Antje remarks "I've come to find that writing about someone else's struggles or happiness feels just as cathartic as writing about my own." Along with 7 new songs, Antje and Richard decided to add studio versions of some of her best known songs such as, "Merry Go Round", which was used in a Bank of America national TV ad campaign as well as radio favorite "Long Way". "Since I first recorded this older material live, I have become a better performer", Antje explains "I decided to revive the songs that were worthy and produce them properly so that I should not be such a bad mother to them".